After suffering a low back disc injury, Dr. Daniels decided to give chiropractic care a chance to help her. The results she experienced were so positive; she changed gears and pursued a career in chiropractic so she could help others in the same way. 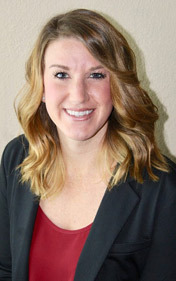 Dr. Daniels began her journey toward being a chiropractor at Minnesota State University, Mankato where she majored in Human Biology with a minor in Chemistry and Spanish. After graduating at MSU Mankato, she moved back to the Twin Cities and four years later graduated from Northwestern Health Sciences University, receiving her Doctorate of Chiropractic. Her passions include family health, pediatric health, maternity care and athletic rehabilitation. Before deciding on Chiropractic, Dr. Daniels worked as a lifeguard/swim instructor and as a summer camp counselor and nanny. She truly loves working with kids. She also has future aspirations to specialize in Chiropractic Radiology. Dr. Daniels came on board with Go Health Chiropractic early 2009 and in 2012 purchased the practice. Dr. Daniels is key member and advocate for the city Robbinsdale and is currently on the Board of the Robbinsdale Chamber of Commerce. She has already established a strong reputation as one of the best Chiropractors in Robbinsdale. In her spare time, Dr. Daniels enjoys golf and softball, and spending time with her family, friends, husband and two girls Ivy and Elizabeth. Chiropractic first sparked Dr. Nicole’s interest when she saw how it helped her loved one’s suffering from acute and chronic pain. Having been in sports throughout her life, she has always had an interest in how the human body works and how she could help prevent and treat injuries. 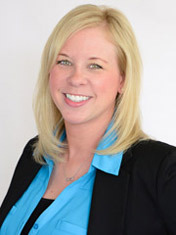 Dr. Nicole began her journey toward being a chiropractor at the University of Minnesota where she studied Kinesiology. She then went to Northwestern Health Sciences University, receiving her Doctorate of Chiropractic. Dr. Nicole loves treating families and kids of all ages. She also specializes in treating auto-injuries clients, athletes suffering from sports-related injuries or people trying to maintain proper alignment for peak performance. Outside of the office, Dr. Nicole enjoys spending time with family and her boyfriend and friends, being outdoors especially in the summer and loves to workout. Van Nguyen graduated from the American Academy of Acupuncture and Oriental Medicine with a Master’s Degree and is a nationally board certified by the NCCAOM® and licensed by the Minnesota Board of Medical Practice. She offers treatments based on Traditional Chinese Medicine that are uniquely tailored to each person’s conditions that focus on correcting the imbalance in the person’s body and naturally bring their body and mind back to health and harmony. 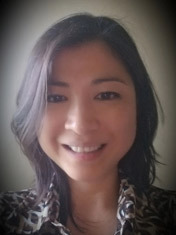 Prior to becoming an acupuncturist, Van was an executive legal assistant to a large company, but she had a calling for natural health care and started her journey with massage therapy and then began her schooling for Acupuncture. She also holds a Bachelor of Science: Business Management from Saint Mary’s University. Van has successfully treated many patients with different conditions, including hormonal imbalances, digestive issues, psychological issues, cancer treatment symptoms, pain syndrome, respiratory issues, fertility issues and many more. She is also skilled in cupping therapy, gua sha and herbal support and proficient in aromatherapy, meditation and breathing exercises to help complement her acupuncture treatment. With her knowledge and experience, she aims to bring relief and restore balance in the bodies of her patients with the utmost care. Thanks for visiting our site. We look forward to meeting with you in person and learning how chiropractic can fit into your health care goals. Give our Robbinsdale chiropractic office a call and we can arrange a time to explore your options!